Using the 5 March 2016 Xenial daily iso, I attempted to install gimp after installation with gnome-software and the application froze without installing. Instead, it showed Installing with a progress bar and froze. Screenshot attached. The bug still stands with stable 16.04 as of today. 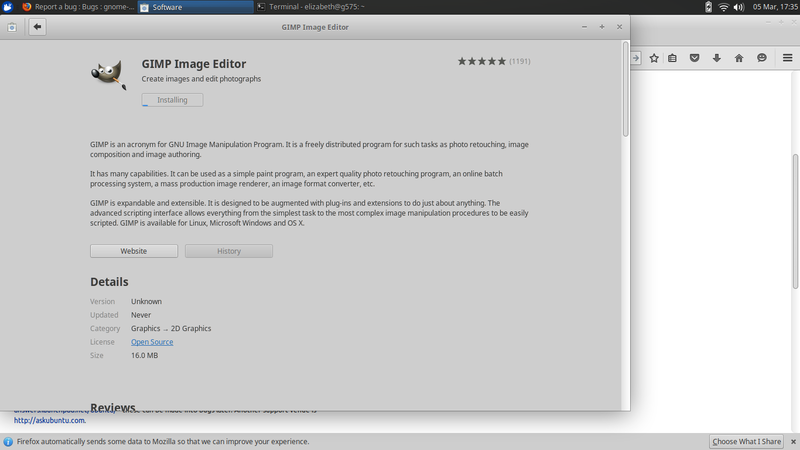 I could turn off Gnome software though, but Gimp still stuck on "Installing" at the launcher bar.